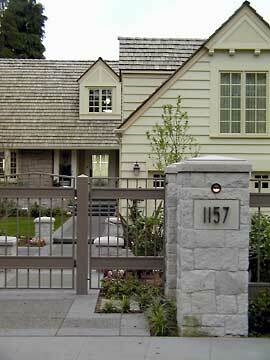 This Historic Remodel-Addition was so extensive we are showing it as new construction. The owners of this original W.A. Bain designed home purchased the house for the great view... and a strong desire to upgrade the "simple house" to a level of "downtown sophistication." The custom residence is located in the coveted Seattle Historic Harvard-Belmont Neighborhood and was remodeled in strict accordance to guidelines imposed by both the city of Seattle Landmark's Historic Board and the Harvard-Belmont Historic Review Board. The scope of this project was "full service" including Architectural Design, Interior Design, Furniture Design, Fabrication, and Purchasing.